Google loves content. As you all know “content is king”. But, there are millions of blogs out there now. So, if you write tons of blog posts similar to your competitors’ just because your competitors rank for those terms then that won’t work. Repeating the same information over and over again won’t produce results in 2019. You need to create unique content. You need to write fresh content that people haven’t seen before. People are craving for new information. So, don’t hurry in writing a blog post every day. Take your time thinking about the topic and doing proper research on that. Write a blog post once a week, or if you can’t do that write it once in a month but try writing something fresh and unique. It will help you get a lot of social media shares, backlinks, comments, engagement and traffic. Google hates the sites that create fake news. It is looking for brand signals. The reason Google wants to rank a brand is that they know that brand increases trust. They know that if people are looking for your brand, you are trustworthy and so you won’t crap the content or write fake news. But to build a brand, you will have to do stuff offline too. This will help your website’s SEO. You need to take the omnichannel approach, both online and offline and work on them for a longer period of time, to make your brand bigger and bigger. And it will be easier for you to rank on Google. To know how big your brand is, use Google Trends. Type your brand name versus your competitor’s name and you’ll get to know how good your brand is performing. Link building has become harder than ever. Everyone is hitting up these sites for links. In most of the cases, when you will send an email to someone to link with them, they will deny because there are millions of blogs and because there are many sites, everyone is getting hit up for more and more links. So, instead of building links this way, try to find out who links to your competitors and who doesn’t link to you. Check out those sites and you’ll find that many of them are open to linking to other sites in your niche. So, there are higher chances that they might link up to you too if you hit them up. You can use Ahrefs for this. Speed is more important than ever. Though there are 4G and 5G connections available to people now but it’s not necessary that they are always in an area of strong reception. So, it might happen that your website may load really slow. Use Google Page Speed Insights and GTMetrix to know what you need to fix to load the website faster for Google. Voice search is becoming popular. Two out of every five adults are using voice search. By 2020, over 50% of people will be using voice search. So, it is essential to optimize your website and content in that way because that is what is going to rank for voice search. Provide answers to the questions people may type, in short sentences. Not big long paragraphs, but one to two sentences. The shorter you are with your responses to the questions, the more you are likely to rank in the search results. Additionally, switching to HTTPS will also help you in voice search as well as fast loading website will also help in voice search. Google hates ranking old and outdated content. As said above, there are millions of blogs out there now. So, there is content for almost everything. And so there are chances that no matter whatever topic you may write on, there will be 50 other articles similar to that. Even if you write fresh and unique content, there are people who will copy it, making it not so unique any further. So, to rank higher in such circumstances, all you need to do is keep updating your content, not monthly but at least once a year. Pick up the best-performing pieces of content and update them. Ask yourself a question: Which link you are most likely to click? The one with the high star ratings or one with no rating at all? It is obvious that you’ll pick the one with high star ratings. But do you know from where Google fetches these ratings for you in the search results? It is with the help of structured data markup. Structured data markup gives Google the information about your content that it might not have learned with its standard crawling algorithm. It helps Google to display relevant and useful results about your content, products or services in the search results. For example, search for kitchenware in Google and you’ll find many search results with the markup data. Structured data markup also helps in ranking for voice search results and can also land a spot in the featured snippets. So, use structured data markup whenever possible. On 1st August 2018 Google rolled out a new “core update” to their algorithm. This update was a major one. According to this update, websites having low E-A-T i.e. Expertise, Authoritativeness and Trustworthiness were dropped in the Google search rankings. This means, that for any website to gain higher rankings, it should have good E-A-T. This can be achieved by having such content on the website that can prove its expertise in a particular niche. Include genuine and valid content written by the authoritative people in that niche. Building the visitor’s trust through genuine content will improve your website’s E-A-T. A great E-A-T score of a website can also help in brand building. Most of the people now make their searches via smartphones or tablets as they are always on the go. And hence mobile- first indexing will play a major role in SEO in the coming years. Many people often misunderstand the concept of mobile-first indexing. It is mobile-first indexing and not mobile-only indexing. That means, that if any website does not have a mobile version of it then it’s desktop version will still be indexed. But the lack of mobile-friendly version might negatively affect the rankings of that website. A website with good mobile-friendly experience can boost the rankings of the website in desktop search results too. To make your website mobile-friendly, you can either make your website responsive or can have a separate mobile site (m.domain.com). If you are planning for a responsive website, make sure to optimize the mobile page speed time and load time, the images and other dynamic elements of the website. If you are planning to create a separate mobile site then you will have to check quite a few factors like content, metadata, structured data, hreflang, social metadata, sitemaps, search console verification and many such factors. 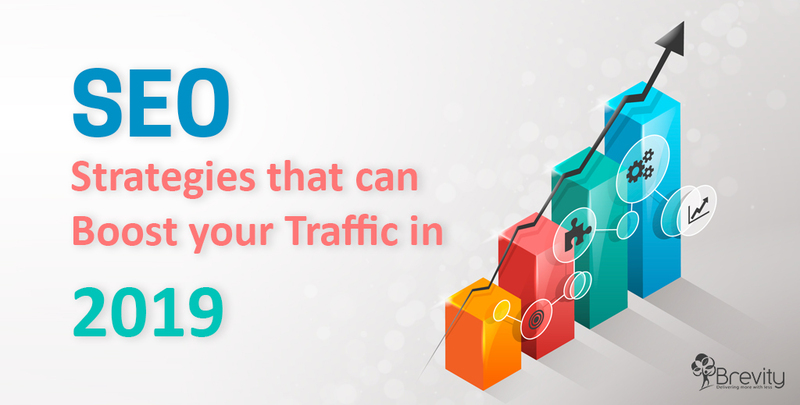 So, these are the few strategies that will work for your SEO in 2019. Have you used or heard about any of them before? Let us know in the comment section below.